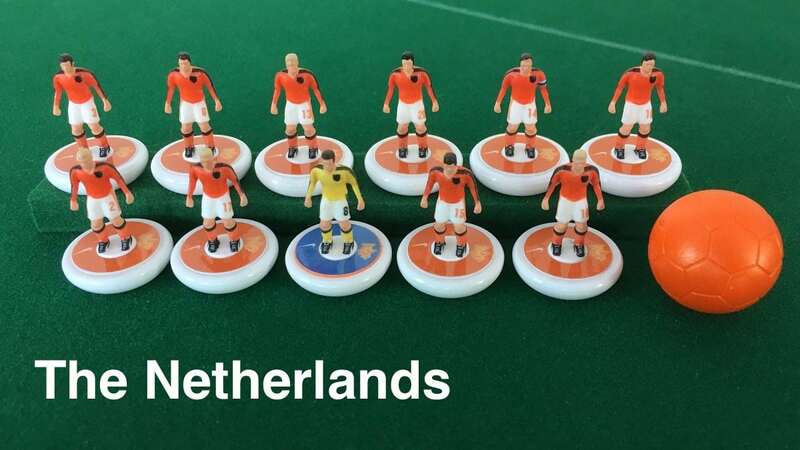 If you bought a ready-to-go team to begin your next Subbuteo match, you’d miss half of the fun: Try to prepare your own team with decals and colors instead. 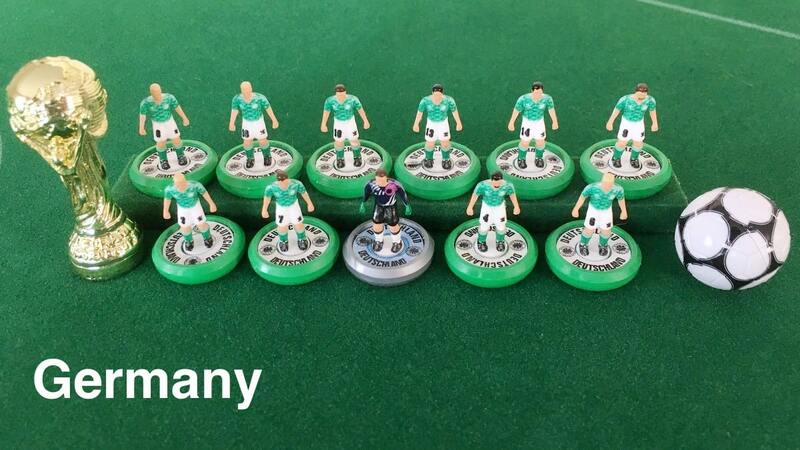 Crafting is an important part of Subbuteo’s attraction, believe me! 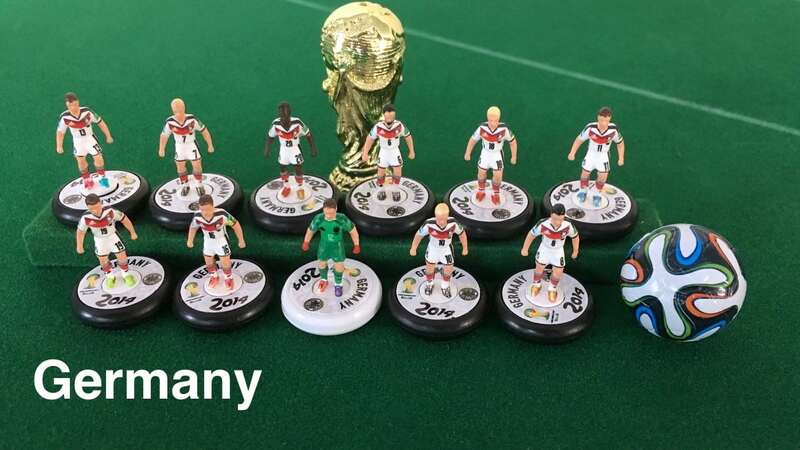 For my first DIY team, I bought a set of Raptor G2 bases, base stickers, blank figures and team decals on the internet (see suppliers list at the end of this post). Then, I needed a pincers and a scalpel to get started. Centering the self adhesive stickers on the bases was not the hardest part. A cutting mat is a useful tool I would not miss again. And next, I got this small bottle of Microsol: The solution prepares the surface of the figures, allowing the decals to drape down perfectly. Important note: Impregnate the decals with a drop of water first! After a few seconds, you’ll be able to detach the decal from the film. The Microsol only prepares the surface of the figure! With a small brush and enamel colors, I painted the skins and hairs of my players. Not too bad for my first try. Don’t forget to use some acrylic spray after you are done with decals and colors: Apply three thin coats in 20 minutes intervalls. Hast du den Schaumstoffeinsatz selbst zugeschnitten? 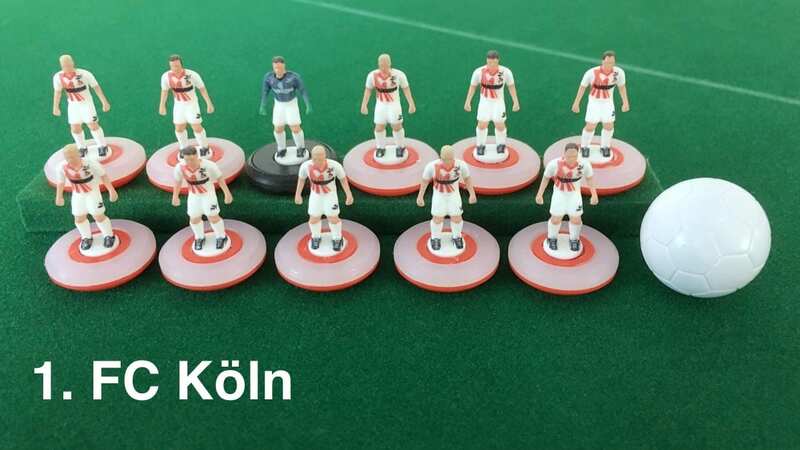 Wenn ja, wie? Hallo Hermann, nein, ich habe vorher viel mit Rasterschaumstoff ausprobiert und auch mit einem Skalpell rumgeschnibbelt – das sah alles nicht aus. Die Schaumstoffeinlage auf dem Bild konnte ich so fertig kaufen. Ein Anbieter auf einer Gesellschaftsspielemesse hatte so etwas im Angebot. 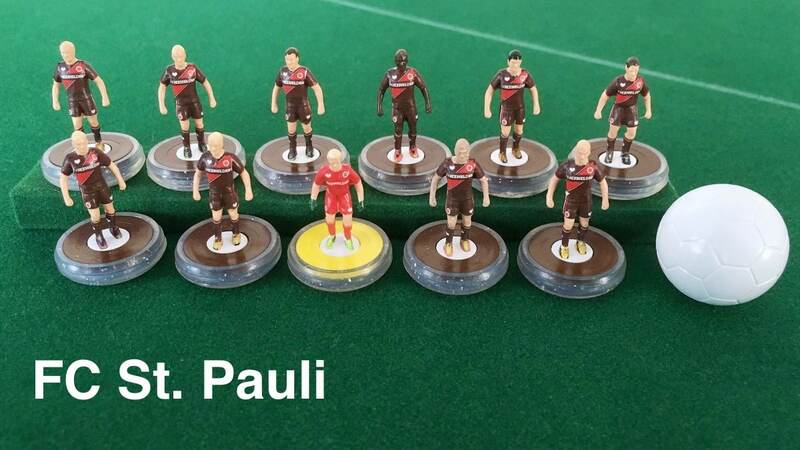 I LOVE LOVE LOVE your teams, especially the FC St. Pauli side (FORZA SANKT PAULI!) 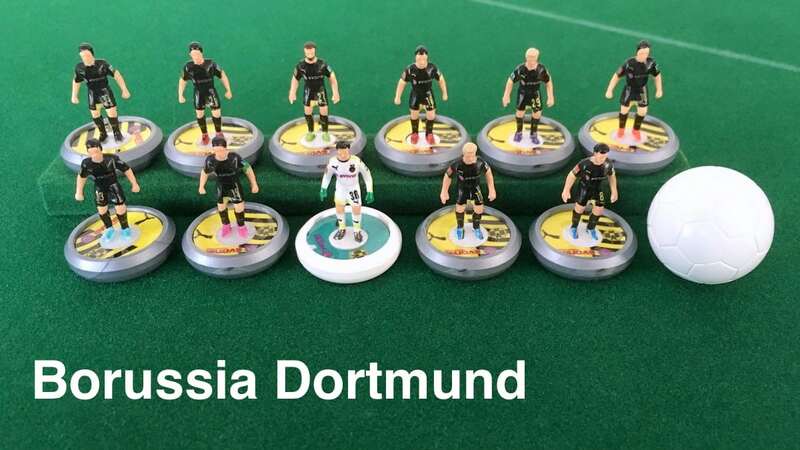 Just getting into table football, and your work is very inspiring. Thank you for providing links to quality vendors. 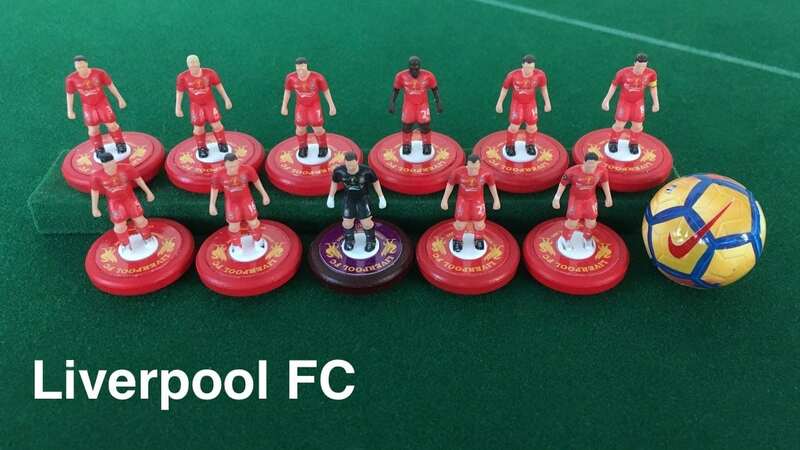 Nice job painting the players. I would be afraid of paint getting on the kit. Is there a particular reason why you applied the kit first before you had painted the skin and hair? Is it to do with the Microsol not keying to the paint?